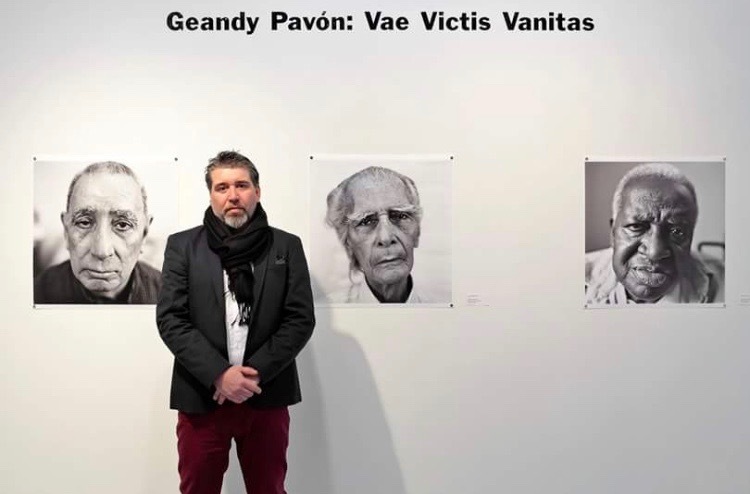 On February 13, the University Galleries hosted artist Geandy Pavón, the creator of “Vae Victis Vanitas,” a new exhibition at the Ben Shahn Arts Center, South Gallery. 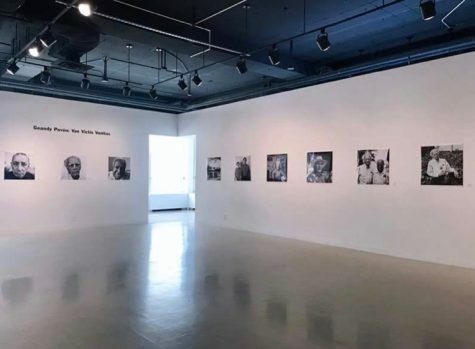 The exhibition displays photographed black-and-white portraits of former Cuban political prisoners, who were exiled to the United States. Pavón, a New Jersey-based photographer, was born in Cuba. Professor Alejandro Anreus of Art History and Latin American Studies, was the moderator of the discussion. The event was live-streamed on Facebook. Pavón artistically and eloquently explained his reasons for creating the exhibit. He said that the portraits function as a ruin, representing the defeated. Therefore, the tragedy of their imprisonment and exile turns the portraits into images that are capable of saying something. Pavón explained that the term ‘Vanitas’ comes from the Baroque genre, where the inevitability of death is an important theme. For example, there is often the image of a skull in paintings of this genre. His goal was to “replace the skull with the face.” As a result, the concept of the face is a reminder of death, mortality, and the transience of power. “Vae Victis” is Latin for “woe to the conquered.” It comes from a legend about Gaulish attack on the city of Rome. Basically, it means that the people who are conquered are at the mercy of their conquerors. This relates to the political prisoners, who were at the mercy of Fidel Castro. The people photographed spent from around eight to twenty-seven years in jail. Professor Anreus, who asked Pavón questions, commented on the ‘iconographic insistence’ of the collection. When taking the photographs, Pavón wanted to be as close to the face as possible, making it a ‘political mugshot’. He said, “I think the moment I was taking their portrait was their moment…a testament to their lives.” All the portraits were taken with film camera. Pavón says, “I did this out of pure passion and admiration for these people.” He wants to document a Cuban world in America that is about to disappear. The backdrop of the Cuban Revolution is important. The political prisoners had varying ideologies, from far-right to far-left. This was significant, especially in post-revolutionary Cuba, where people thought there were no political prisoners. Professor Anreus noted that the prisoners, those who supported the revolution, felt profoundly betrayed. Pavón highlighted the diversity in the political prisoners and the reconciliation between them. Although they were “defeated materially speaking, they are hopeful about the future of Cuba because they are resilient and strong people.” The importance of resistance, in the past and the present, is evident in their portraits. Sergio, a history student, said that the talk with the artist was very informative and illuminating; it shed a different perspective on the impact of the Cuban Revolution. In addition to the portraits, there is an extension in the East Gallery that focus on important images of the Cuban Revolution. With the accessible media platforms today, Pavón noted, the possibilities in front of you to create are limitless. The exhibit is on display until March 16 in the South and East Galleries. For more information about the University Galleries visit www.wpunj.edu/coac/gallery.